As Passover, the Feast of Unleavened Bread and the Feast of First Fruits as commanded by God (YHWH) our Creator approach yet again, many of us still cannot see through the paganism adopted by the Roman Catholic Church centuries ago and they and others are being greatly deceived. These holidays have everything to do with our history, culture and the undeserved atonement for our sins made by Jesus Christ (Yeshua Ha’Mashiach) almost two thousand years ago. This article will not explain these feasts and works of redemption, instead, it will expose the Sacred Heart which we unfortunately see every year in greeting cards and Facebook posts/Yeshua said, “Ye worship ye know not what: we know what we worship: for salvation is of the Jews. But the hour cometh, and now is, when the true worshippers shall worship the Father in spirit and in truth: for the Father seeketh such to worship him. God is a Spirit: and they that worship him must worship him in spirit and in truth” (John 4:22-24 KJV). If ever there was a time that believers need to be aware of this and come out of the pagan practices of the Christian Church, now is that time. We are under constant attack by the deception and subtlety of Satan, our adversary. Moses was told by God that, “Thou shalt not make unto thee any graven image, or any likeness of any thing that is in heaven above, or that is in the earth beneath, or that is in the water under the earth: Thou shalt not bow down thyself to them, nor serve them: for I the LORD thy God am a jealous God, visiting the iniquity of the fathers upon the children unto the third and fourth generation of them that hate me; And shewing mercy unto thousands of them that love me, and keep my commandments” (Exodus 20:4-6 KJV). Likewise, the Acts of the Apostles (which is presumed to have been written by Luke the Evangelist) wrote, “Forasmuch then as we are the offspring of God, we ought not to think that the Godhead is like unto gold, or silver, or stone, graven by art and man’s device” (Acts 17:29 KJV). Therefore any image of Yeshua (Son), Yeshua (Son) or the Ruach HaKodesh (Holy Spirt) is a violation of both the Tanakh (Old Testament) and the B’rit Chadashah (New Testament). 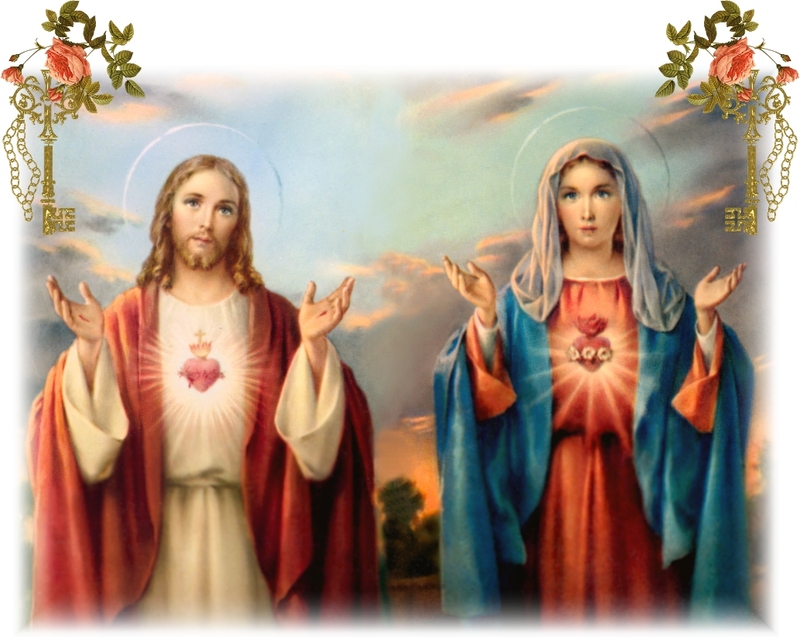 The Sacred Heart is one of the most famous religious devotions to Yeshua’s physical heart as the representation of His divine love for humanity. The origin of this devotion in its modern form is derived from a French Roman Catholic nun, Marguerite Marie Alacoque, who said she learned the devotion from Yeshua during a mystical experience. Predecessors to the modern devotion arose unmistakably in the Middle Ages in various facets of Catholic mysticism. The Sacred Heart is often depicted in Christian art as a flaming heart shining with divine light, pierced by the lance-wound, surrounded by the crown of thorns, surmounted by a cross and bleeding. Sometimes the image shown shining within the bosom of the Messiah with his wounded hands pointing at the heart. The wounds and crown of thorns allude to the manner of Yeshua’s death, while the fire represents the transformative power of divine love. The Immaculate Heart of Mary is a devotional name used to refer to the interior life of the Blessed Virgin Mary, her joys and sorrows, her virtues and hidden perfections, and, above all, her virginal love for God, her maternal love for her Son, Yeshua, and her compassionate love for all people. The consideration of Mary’s interior life and the beauties of her soul, without any thought of her physical heart, does not constitute the traditional devotion; still less does it consist in the consideration of the Heart of Mary merely as a part of her virginal body. In 1855 the Mass of the Most Pure Heart formally became a part of Catholic practice. The two elements are essential to the devotion, just as, according to Roman Catholic theology, soul and body are necessary to the constitution of man. The Feast of the Sacred Heart has been in the Roman Catholic liturgical calendar since 1856, and is celebrated 19 days after Pentecost. As Pentecost is always celebrated on Sunday, the Feast of the Sacred Heart always falls on a Friday. These are the Christian origins of these symbols, masses and holidays according to the Roman Catholic Church. However, are they the true origins of these things? There is no question that Christianity and Catholicism has been corrupted by the adoption of paganism. The Sacred Heart originates in Ancient Babylon. It was the heart of Queen Semiramis who passed it on to her illegitimate son, who according to her, was her late husband King Nimrod who had been reincarnated as Tammuz. Queen Semiramis was deified and became known as Ishtar (pronounced Easter). When Tammuz became an adult, he married his mother. Unfortunately, Tammuz was killed by a wild boar while boar hunting. Nimrod (Tammuz) became known as the Sun God, and Semiramis (Ishtar) became known as the Queen of Heaven. These events eventually led to Easter, Easter Eggs, ham in place of lamb, Sunday and Sunrise Services on Easter morning. These are the earliest recorded historical facts in which Satan attempted to steal and corrupt the Messianic Prophecy contained in the Book of Genesis (Genesis 3:15). The Feast of the Sacred Heart has it’s origins in the pagan Aztecs and Mayans of Mexico. Human sacrifice, particularly by offering a victim’s heart to the sun god, was commonly practiced. 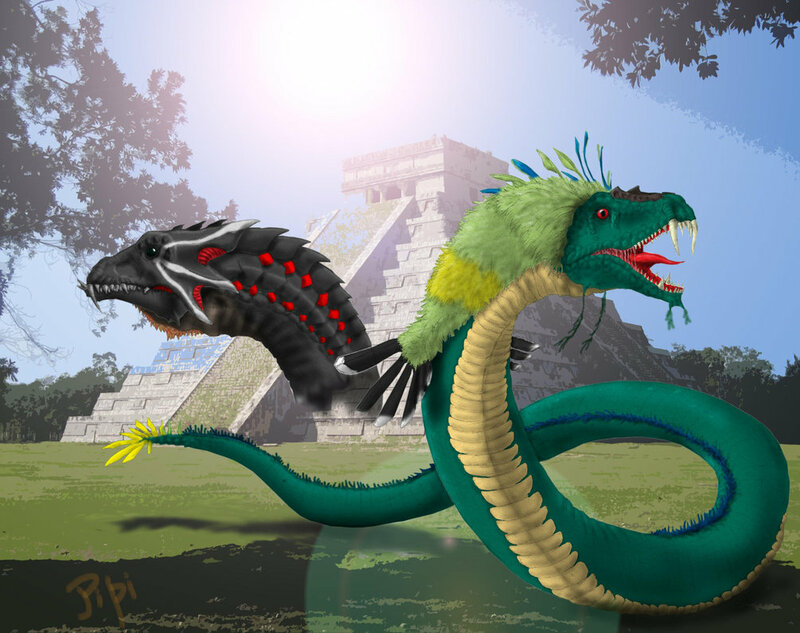 They would cut the heart out of a living victim and offer it as a sacrifice to the sun god, in this case, Kukulcan or Quetzalcoatl, also known as the feathered serpent. Sol Invictus (“Invincible Sun”) was the official sun god of the later Roman Empire. In 274 the Roman Emperor Aurelian made it an official cult alongside the traditional Roman cults. Scholars disagree whether the new deity was a refoundation of the ancient Latin cult of Sol, a revival of the cult of Elagabalus or completely new. The god was favored by emperors after Aurelian and appeared on their coins until Constantine. The word for heart is identical (the only difference as listed is the vowel marking) to the word for Baal in Hebrew and Chaldean Aramaic. Vowel marks are an invention of the Masorete Scribes of the tenth century. It is obvious that all pagan practices will lead one back to Ancient Babylon. The Prophet Jeremiah wrote, “Flee out of the midst of Babylon, and deliver every man his soul: be not cut off in her iniquity; for this is the time of the LORD’S vengeance; he will render unto her a recompence. 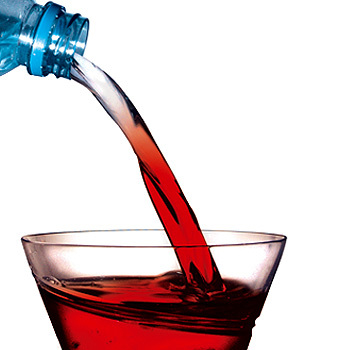 Babylon hath been a golden cup in the LORD’S hand, that made all the earth drunken: the nations have drunken of her wine; therefore the nations are mad” (Jeremiah 51:6-7 KJV). Who is referred to as “my people” in this passage of Scripture? It is none other than Christians that are involved in the apostate churches of the world. This is a warning. If you attend a church that does not teach sound biblical doctrine, the time to leave and separate yourselves is now, unless you wish to receive the judgement of God when He pours it out on these churches. Saint Peter said, “For the time is come that judgment must begin at the house of God: and if it first begin at us, what shall the end be of them that obey not the gospel of God? And if the righteous scarcely be saved, where shall the ungodly and the sinner appear? Happy Passover and Resurrection Day.